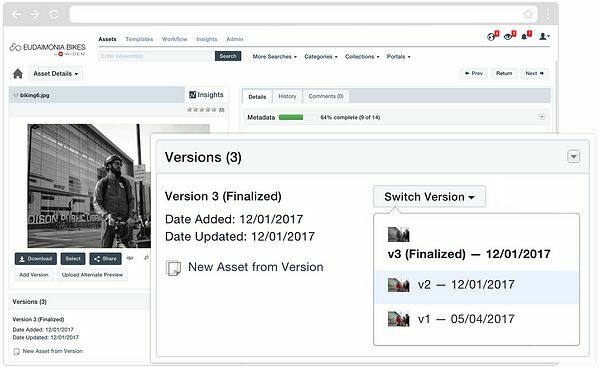 Tag your assets for optimal search, notify teams with alerts, and download or share your assets in any format you need. Files and folders can be uploaded effortlessly using a drag-and-drop tool. Apply default metadata, categories, and security, or use the guided wizard to assign hand-picked data. Our customized options for metadata and keywords serve users of all experience levels. Use controlled vocabulary for consistency, and choose from a variety of field formats. Map XMP, IPTC, and EXIF data at upload and export content to XMP at download. Use metadata to define, describe, and protect your visual content. Open fields include date fields, limited text fields, long text fields, numeric fields, text fields, and text areas. Controlled vocabulary fields include checkboxes, dropdown fields, and multi-select palette fields. Leverage popular tools to ingest files. Use Zapier send files to the Widen Collective®. Remove login obstacles with user-specified FTP locations. The tools you need for tracking asset renditions and retaining metadata values for each. Preview and download old versions. Duplicate filenames trigger conflicts that can be added as versions.